Important Note: Please note that we only sell the black box now (Linux box). The white box (Android box) is discontinued. years subscription for free. 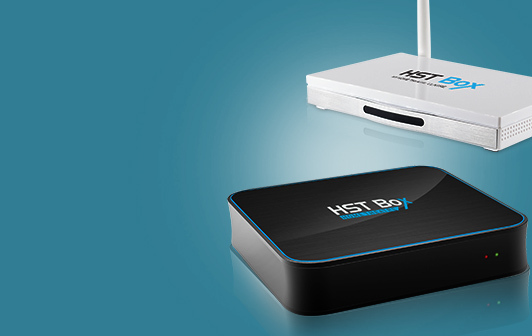 HSTBox comes bundled with one year warranty. Tags: Digital TV, Internet TV, IPTV. Speed Internet. Minimum 2 Mbps. Superb HD image quality. Excellent collection of channels. Two thumbs up to hstbox. Hi , just want to ask if you have MBC PRO SPORT In your package or not ?? You may also use this voucher: hstpromo to get $25 discount on your purchase with free shipping. I’m pleased to let you know that the MBC Pro Sports channels have been added to our channels collection. hey sir, my question is >> can i watch all the football leagues such as spanish and english premier league and all that staff from that device ? Please send email to sales@levitar.ca with your BOX ID. A sales rep will contact you with the procedure to order. Please send email to sales@levitar.ca with your box ID. An online invoice will be e-mailed to you. Once paid, the box will be renewed. Thanks. This is not a review but a question. Recently, Aljazeera decided that their two kids’ channels, JeemTv and Baraem, should move to the Bein service/group. Therefore no longer available for free and you have to pay a subscription fee to the Bein bundle. Are these channels available on your box? If they are no longer available, are you going to put them back? My second question: do you provide configuration data to configure your service on another android box/emulator? It is still not decided how those two channels will be tackled. On the other hand, our box is run using Linux, which is way more efficient that Android when it comes to IPTV’s. Thus, there is no Android emulators. In fact, you can only run it on our box. Hi.. can i use your box in iraq? Subscribe to our mailing list and receive updates about our service, new additions, etc. HSTBox © 2017 All rights reserved. A Levitar Company. For customers from Brazil and Australia, please contact your resellers. We apologize for not accepting renewals from Australia and Brazil. Note: Please note that renewals might take up to 5-7 working days after the payment.